Dress in 100 percent merino wool. 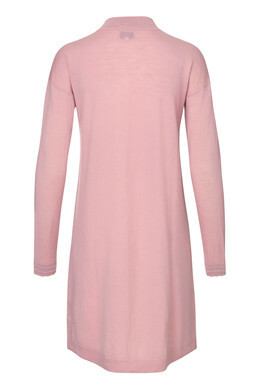 The dress features long sleeves and is just above knee length. Wear the dress with a pair of tights for everyday use or special occasions.